The subtly glazed ceramic body of this cupboard knob has a delicate sheen that matches the silver detail perfectly, with a wonderful vintage hue. 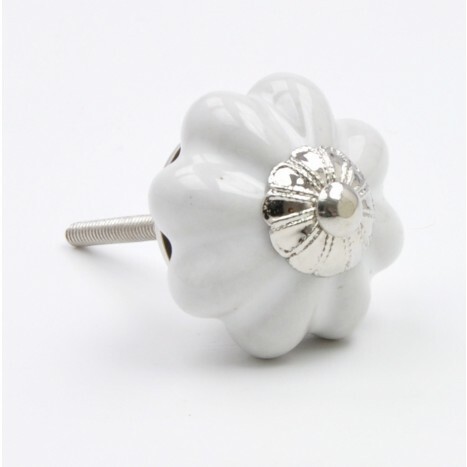 Transform your dresser drawers, wardrobe or any piece of classic furniture with this stylish knob. The timeless beauty of this bright white and silver ceramic combination makes it ideal for a lavish décor, and it can also add a touch of sophistication in a more minimalist setting. Tags: pretty white ceramic knob, unique ceramic handle, silver & ceramic knob, white ceramic knob with silver metal face.